Andrew Tutmaher, Jr., 93, of Sugar Grove, PA. died Tuesday morning, April 8, 2014 after a 2 day illness, at the Rouse Warren County Home. He was born December 8, 1920 in Redstone, PA. He was the son of Andrew and Ann Marchin Tutmaher, Sr. He has resided in Chandlers Valley and Sugar Grove, PA area most of his life. He was a 1938 graduate of Sugar Grove Seminary School. Andrew had served with the U.S. Air Force, as a corporal, during World War II. He had served with the 6th Night Fighter Squadron, serving in the Philippines, New Guinea, North Solomons, Bismarck Arch. He earned a Good Conduct Medal, Philippines Liberation Ribbon with one bronze star, Asiatic Pacific Theatre Service Medal with 5 Bronze Stars and a Victory Medal. He owned and operated a family farm for 35 years and was employed with former Crescent Tool and Blackstone Corporation. He was a member of St. Joseph R.C. Church, Sheffield Rod and Gun Club, Sugar Grove AmVets. He had served as a volunteer working with the American Red Cross, serving at the Oakland, CA earthquake and Hurricane Andrew in Homestead, FL. He was an avid hunter, enjoyed gardening, cooking and loved polka dancing. He is survived by his 3 children – Ann Craton and husband, Charles of Ft. Pierce, FL, David Tutmaher and wife, Rebecca of Warren, PA., Carol Ely and husband, Joe of Clarendon, PA., 1 Stepdaughter – Carin Rauenzahn and husband, Jerry of Warren, PA., 2 Brothers – Paul Tutmaher of Sugar Grove, PA., Joseph Tutmaher and wife, Elaine of Chandlers Valley, PA., 1 Sister – Sophie Bosko and husband, Andy of Lakeland, FL., several grandchildren and great grandchildren, nieces and nephews. In addition to his parents, he was preceded in death by his 1st wife, Ann Williams Tutmaher, 2nd wife, Margaret Peterson Tutmaher, 1 Daughter – Beverly Flatter, 1 Stepdaughter – Debbie Peterson, 2 Sisters – Mary Glotz, Ann Bobelak Slack, 1 Brother – John Tutmaher. Friends may call at St. Joseph R.C. Church, 600 Pennsylvania Avenue West, Warren, PA. on Saturday, April 12, 2014 from 10:00 A.M. until 11:00 A.M. when a Mass of Christian Burial will be conducted by Fr. Richard J. Toohey, Pastor, officiating. Interment will be in St. Joseph R.C. Cemetery where full military honors will be conducted by members of the Sheffield/Clarendon V.F.W. and the U.S. Air Force funeral personnel. Those wishing to place memorials may do so through the Rouse Warren County Home Patient Activities Fund. 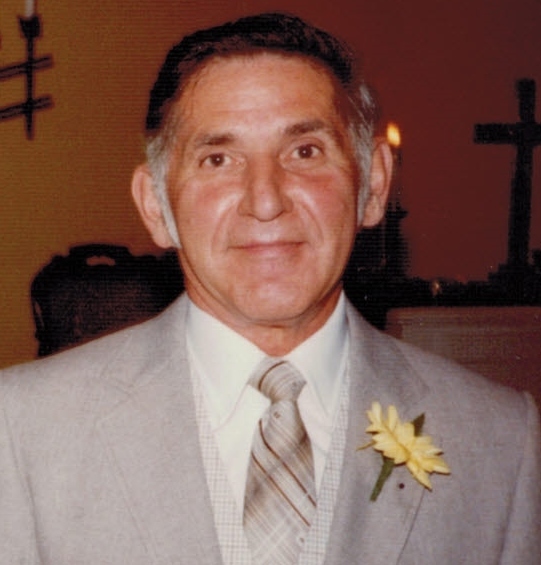 E-mail condolences may be sent by visiting www.lewisfuneralhomeinc.com The Donald E. Lewis Funeral Home, Inc., Warren, PA. has been entrusted with funeral arrangements. Although years may pass without seeing one another, it does not make the heartach any less. May David, Anne, Carol’s families find comfort in their memories. You are in our prayers. My fondest memories of Uncle Andy are with him and my Dad. I remember watching as they would Polka at family weddings. I can still see them spinning around, with a loud yell and kicking up their heels. Its been many years but the memories still make me smile. Uncle Andy was one of my favorite uncles. When I was a kid, I loved visiting and staying over night at their farm. He’d let us feed the calves and play in the hay bales. It was always fun to stay over. Also I remember many family reunions we had at their home. ANDY WAS A WONDERFUL NEIGHBOR IN SUGAR GROVE AND I WILL MISS HIM. Our hearts go out to you during this difficult time.